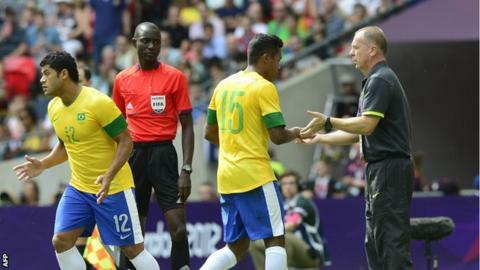 Teams will be able to make a fourth substitution in extra time during the Olympic football tournament in Rio, as part of a trial by governing body Fifa. The trial will also extend to the Under-20 Women's World Cup in November and the Club World Cup in December. The move comes after the International Football Association Board (IFAB) approved a trial of the use of video assistant referees. The Olympic football tournament runs from 3 to 20 August. Both are part of a comprehensive revision of the Laws of the Game, the most comprehensive review undertaken during the IFAB's 130-year existence. Fifa is trying to establish whether a fourth substitution would be used tactically or for player welfare. It will also examine whether the additional substitution could have an unfair impact, as all four substitutes could be used in extra time, changing more than a third of team.